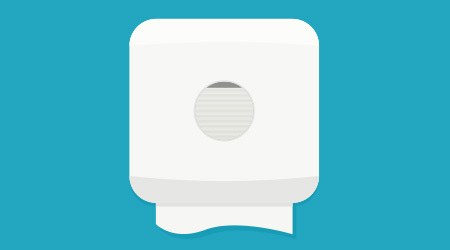 This is part one of a three-part article about heated hand dryers. Distributors and their customers are well aware of the role hand washing plays in preventing the spread of illness. But hand hygiene discussions often gloss over the importance of drying hands after washing them. For many people the perception is that once hands are washed, they are germ-free; therefore, drying them is inconsequential. However, research indicates that wet or improperly dried hands — just like poorly washed hands — can further aid the spread of germs. Jet-air hand dryers — those that rely on air traveling at speeds of up to 400 miles per hour to shear water off hands — are among the most popular on the market today. But as an alternative to jet-air dryers, many facilities have installed standard-speed, heated-air hand dryers in their restrooms that emit warm air to aid in evaporating moisture off the hands. And although some standard-speed hand dryers feature the option to run with non-heated air, most users still opt for models that emit warm air. In addition to the expectation that dryers should emit warm air, end users believe — rightly so — that heated air will speed up the drying process, which in turn could promote compliance. According to Schaffner, however, there are also other factors at play that will influence dry times.